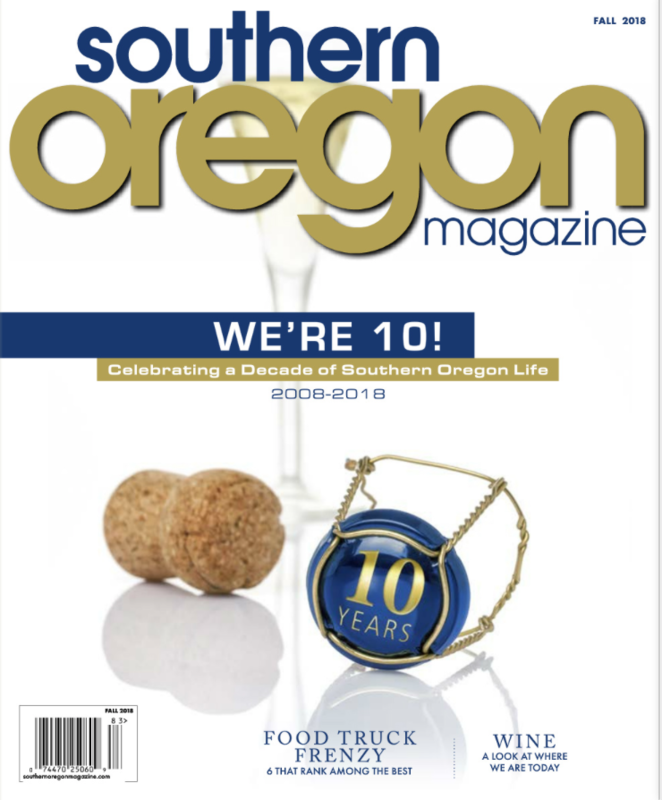 From the very first issue of Southern Oregon Magazine we have followed and are huge fans of the wine industry. 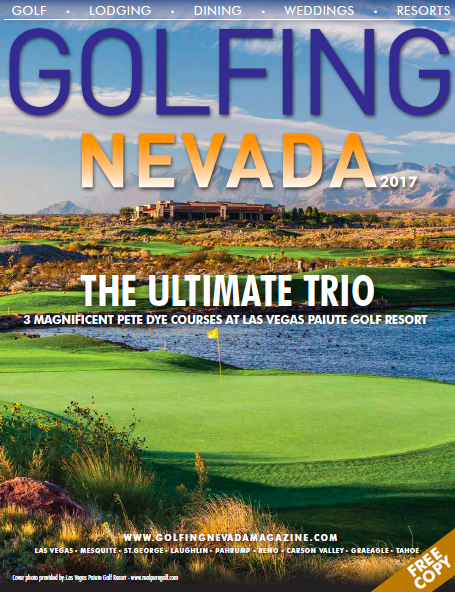 So much so that in every issue we have a section devoted to the amazing wine and food culture that thrives in Southern Oregon. Even with that, however, it doesn’t seem enough. So every fall, as the wineries are receiving their first fruits of the season, we are busy seeking out stories of what’s new and exciting in the industry we love and adore. Read on as we explore just a few of the many new and old incarnations of the Southern Oregon wine industry. DANCIN Vineyards owner Dan Marca started his day at 6 a.m., in the usual way, on a tractor among the vines, looking for any signs of botrytis and planning the next phase of activity in the run-up to harvest: bird-netting. By 1 p.m. when we sat down together he had spent several hours in the tasting room with visitors he’d met at the International Pinot Noir Celebration (IPNC) in McMinnville the week before. He was still glowing with the gratification of having poured his 2012 Trata Pinot Noir at this meeting of the crème de la crème. And glow he should, as DANCIN was the only Southern Oregon winery invited to this prestigious event. Acknowledged as the biggest and best gathering of Pinot Noir enthusiasts in the world, the annual IPNC weekend showcases 70 foreign and domestic Pinot producers and attracts a crowd of over 1,200 serious aficionados. According to Jenaveve Linabary, IPNC Event Coordinator, participants are a mix of new and returning wineries. Next year’s slate will be chosen from 307 foreign and 375 domestic wineries that have poured at IPNC during its 29 year history, plus about 175 wineries that apply each year to participate for the first time. For Marca, it was an unprecedented thrill to find DANCIN stationed next to Maison Chanzy, a 160-year-old French producer and Domaine Drouhin Oregon, a Dundee Hills winery owned by the Drouhin family of Burgundy. Considering the peer group, you might assume Marca came away from the IPNC experience feeling pretty self-satisfied. Not so. Instead, it redoubled his drive to make improvements, some of which are already underway with vineyard expansion and a new estate winery that will see its first crush this fall. The new winery consists of two separate buildings, one co-located with the crush pad and the other dug into the hillside nearly 11 feet higher. The path to great Pinot Noir begins at the lower winery where the grapes are received after initial vineyard sorting to eliminate leaves, twigs and anything other than healthy fruit. The fruit is sorted again before going through the destemmer. Once the clusters are deconstructed, individual berries are sorted a third time to prevent imperfect fruit from contributing off-flavors to the wine. Primary open top fermenters stay in the lower level winery where the temperature is kept at 68 to 70 degrees, optimum for this process. Once primary fermentation is complete, the fermenters are forklifted to the upper level winery where the juice is pressed off the skins. The upper and lower wineries are connected by an underground conduit housing a food grade hose. Due to the difference in elevation, juice from the wine press flows gently downhill through the hose to barrels located at the lower level. After malolactic fermentation and blending, the barrels are forklifted to the upper level winery for aging. A naturally cool 60 degrees due to being partially underground, the upper winery is a perfect barrel room. When fully aged and ready to bottle, the wine is transferred from barrel to tank using a device called a Bulldog Pup. The Bulldog Pup injects nitrogen gas into the barrel to displace the wine, avoiding both oxygenation and harsh pumping that can cause delicate wines like Pinot Noir to deteriorate. Tanks are drained by gravity flow to the bottling line on the lower level, again by use of the hose connecting the two wineries. By sorting grapes three times instead of the usual once, and moving his wines without pumping, Marca hopes to achieve a standard of excellence for his 2015 wines that surpasses even the quality of the 2012 vintage that took him to the IPNC. Naumes Crush and Fermentation blends a modern, industrial wine processing facility with the pioneering spirit of Southern Oregon. Sunlight gleams off the exterior of giant stainless steel tanks standing inside the cavernous 23,000-square-foot structure, which is centrally located near downtown Medford. The new addition to the Southern Oregon wine industry provides complete winemaking capabilities, lab analysis, cold storage and other helpful services to growers and wineries. With the local wine industry growing each year, the region needed a custom crush facility to fulfill these demands and have the ability to expand. The Naumes family seized this opportunity, knowing it fit in well with their history, knowledge and capabilities. Having grown fruit in Oregon for 113 years, the Naumes family is a leading producer of pears, apples and other specialty items in the Pacific Northwest and California. 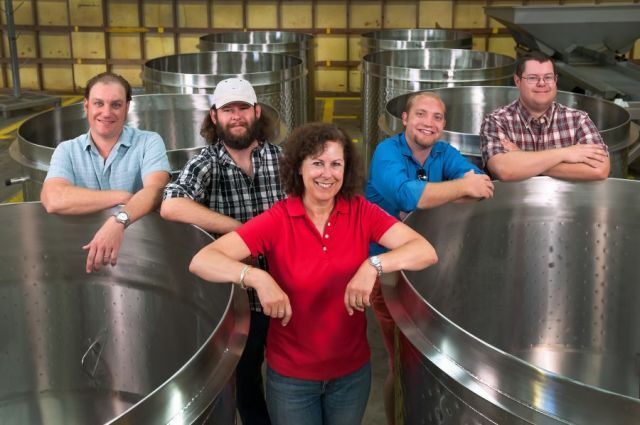 With 70 acres in the Rogue Valley planted to premium wine grapes, custom crush was the Naumes’ next venture. “Naumes Crush can craft the best possible wines for our clients,” says Chris Graves, Naumes Crush’s first winemaker. As a graduate of the U.C. Davis Viticulture and Enology program, Graves has custom crush experience, considerable knowledge about wine chemistry and analysis and understands the intricacies of contemporary winemaking. Graves’ skills are evident in his work and passion for all things wine. Designed by Willamette Valley consulting winemaker Robert Brittan, the layout of Naumes Crush flows like a raft down the Rogue. Delivery trucks have ample room to drive up and unload fruit. “It goes straight from the truck to cold storage,” explains Graves. “The fruit is protected if a storm comes in. It’s also better to process cold fruit, which works well for cold soaking.” Cold soaking is a technique that affects the outcome of wine by extracting color and flavor from the grapes. “We also have temperature controlled rooms to age or store finished wines,” adds Graves. From the time the fruit arrives to when it leaves as a finished wine, Naumes Crush handles the product masterfully. Fruit is whole-cluster sorted, de-stemmed and sorted at the facility. Even with the most advanced equipment in the region, nothing replaces the precision and care of hand sorting. Naumes Crush’s equipment includes optical and hand sorting tables. Hand sorting harkens back to the earliest days of winemaking, and that art is not lost among the newer equipment. However, advanced equipment finds things that other techniques might miss, resulting in finer quality wines. “The optical sorter provides high resolution images of the fruit and identifies damaged grapes as they pass through. Low quality grapes are blasted aside with jet streams,” explains Graves. Modern equipment isn’t limited to production. The meeting and tasting room provides an exclusive experience for clients. “If a client likes a certain wine and wants to create something similar, we can do that. We use the meeting room to taste and deconstruct that wine and test how to produce a comparable product,” says Graves. Clients can log in and see the status of their wine and the latest analysis. Graves also uses this technology. “I can get alerts about the facility or tanks at any time.” Having this knowledge at his fingertips reduces labor costs and time, resulting in exceptional wines and higher client satisfaction. Although wine tasting doesn't usually evoke images of lush, verdant rivers lined with ferns or Serengeti-esque landscapes, that is likely because most people haven't been wine tasting in the Umpqua Valley of Oregon. The northern part of Southern Oregon, the Umpqua features characteristics of both southern and northern landscapes. Umpqua Valley derives the diversity of terroir naturally from the convergence of three mountain ranges—Klamath Mountains, the Coastal Range and Cascades—each different in age and structure. These distinctive ranges give rise to the name locals often use to describe the Umpqua Valley—as not one valley but the "Hundred Valleys of the Umpqua." Driving through the landscape, the scenery can change over each hill. And so does the wine. During the smoke and fire filled days of mid-summer 2015, a small group of us embarked on a Bravo Outings—a lovely Wine & Waterfall Tour dreamt up by Bravo founder/owner Tracy Rice. Anticipation was high as we headed north. The agenda was planned, but loose to accommodate relaxation and enjoyment. Our first stop was at Wildlife Safari. What does that have to do with wine and waterfalls, you ask? Well, usually, very little, but in this case, when you're scheduled for wine with elephants, you go for it! The elephant house was custom designed and built especially for Wildlife Safari by Tom Pappas of Victory Builders and boasts hand-carved concrete with various animal images and an elephant fountain. Through a small hallway, lined with carvings and fragranced with elephant perfume, we came to an opening where Liz and Valerie, the oldest females, waited with their trunks resting on the wall. And there we were, eye to eye with these elephants. After feeding the “girls” some carrots, we headed upstairs to the look out. The wine tasting 'look out' is on top of the building with views beyond the elephant enclosure toward the distant blue mountains. The elephants trumpeted and swam in the water below while we sipped on George's wine (George is the male who stands 10 feet high at his shoulder). Made by Reustle-Prayer Rock Vineyards, this Safari Specialty Wine is a delicious Grüner Veltliner that sports George's footprint. We were told he stomped the grapes himself. Proceeds go to elephant conservation. Abacela was our place for lunch and more tasting. Sitting in between rolling hills and vineyards with gorgeous views of periwinkle colored hills, Abacela is known for pioneering both Tempranillo and Albariño varietals in this region. Their tasting room, with its big doors and warm colors, has a definite old world, Spanish feel. Their wines have consistently won top awards, as have the owners, and the winery itself was named 2013 Oregon Winery of the Year. Their Graciano gets my tip. This hard to grow varietal was planted in 1995—2013 was their first bottling. It’s rich, deep, smokey butter with deep cherry in flavor. Abacela is all about love and land, and the wine that comes from it. On up the road we pop into the new tasting room at Paul O'Brien Winery (brainchild of longtime friends and winemakers Dyson Paul DeMara and Scott O’Brien Kelley) in the Umpqua Valley’s first urban winery located in the historic Hansen Chevrolet building in downtown Roseburg. Industrial, old brick outside morphs into trendy urban comfort on the inside. Here we tasted their Specialty Moxy wines as well as a rich, old world style Spanish wine that came home with me. A must stop for the new urban wine experience. Following the Umpqua River on the right and charred trees of the then still burning Cable Crossing Fire on the left, our arrival at Steamboat Inn was sweet and simple. The vintage lodge sits in a lush foliage area. On the deck overlooking woods and glimpses of the river, an old, gray tabby cat looking for some petting welcomed us. The smell of moisture and light smoke was in the air. Slight rain and dewdrops dotted leaves of the huge hydrangea outside the front door. The greenery outside the windows was verdant. Big ferns and sounds of the river were a respite from the previous two months of consistent heat we’d had in the Rogue Valley. As this was a wine tour, we were pleasantly surprised by the wine and appetizer reception before dinner held in the library of the inn. Dinner at the Steamboat Inn that evening was family-style on long, shiny, old picnic tables with benches. The ambiance was one of soft lighting, rustic elegance and comfort. Through the big windows at the back we could see the small patio area full of trees wrapped in white lights, all beckoning for a quiet after dinner moment while listening to the river. Dinner was delightful—some from the old cookbook and some modern thrown in for flair. Watermelon Gazpacho is new. Potato pancakes old. Both delicious. Pork and salmon with a savory not-sweet berry sauce, ice cream with berries and nuts followed. The chef surprised with the perfect crunch in the unexpected—soup and ice cream. Everything else was smooth texture, even the lovely lavender cabbage. We shared our wines gathered from the day's tasting. After a leisurely and delicious breakfast at the Inn, we headed to the waterfalls. Toketee, Watson, and Clearwater Falls were our stops. Each offers its own version of stunning natural beauty and lovely walking paths that are cool and refreshing. We were just going with the flow—cool, clear waters in between pours of exceptional Southern Oregon wines. It was a wonderful trip beautifully planned and well accomplished by Tracy Rice. No rush, easy going with adequate times at stops. Next up was Beckie's Café at Union Creek Resort in Prospect for pie and ice cream. Fueled for the journey home, and with a piece of pie in hand for Ledger David Cellars' engaging Robert Trottman, we landed at La Petite Tasting Room in Central Point. An upcycled mechanic's garage, with the graciousness of a fine tasting room and the charm of big, rolling doors, this was the perfect ending for our Wine & Waterfall Tour. Splendid wines, lovely traveling companions, nourishing journey. Brava to Tracy Rice and Bravo Outings!